According to the Alzheimer’s Society, by 2025 more than 1 million people in the UK will be diagnosed with dementia. Also, accidents can happen at any time. An accident may result in you losing your physical and/or mental capacity and being unable to deal with your affairs. 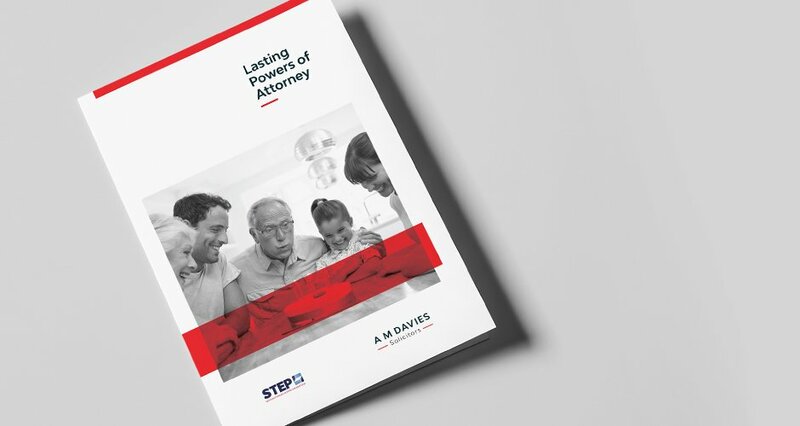 If you have made a Lasting Power of Attorney (LPA) your trusted people (your attorneys) will be able to make important decisions on your behalf. If you do not have an LPA, then if you become incapable those closest to you will have to apply to the Court of Protection to appoint someone to manage your affairs (a ‘Deputy’). It is much quicker and less expensive to make an LPA. • Property and Financial Affairs – your attorneys can deal with your financial affairs, such as buying/selling your home, managing your investments, operating your bank accounts and paying your bills. • Health and Welfare – your attorneys can look after your social and healthcare needs, such as making decisions about where you live, medical treatment and your day-to-day care. LPAs can also be made as part of succession planning for your business interests, to enable your business to continue with minimum disruption. Read this leaflet to find out how to avoid the expense and delays of Court of Protection procedures, if you become incapable of managing your own finances or welfare decisions.